Please join us as we being to plan for this year’s event! Now in it’s 8th year, this event is a day to serve the homeless in our community by offering food, clothing, and various services. Plan to join us and help make a difference in our community. Invite your co-workers! Do you have a group (Girl/Boy Scouts, Students, Youth Groups)? Everyone is welcome and encouraged to get involved in this community event! There will be opportunities to lead a committee, or to get involved in the important planning stages to make this event a success! We need people with all skill levels, in all areas. If you’re willing to lend a hand, and to make a difference, we hope you will join us! 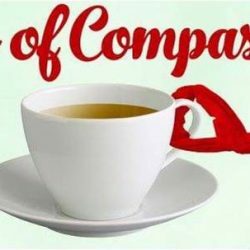 Cups of Compassion would not happen without it’s dedicated team of volunteers. Opportunities to lead special projects or to be a part of a planning committee for the 2018 event are available. Join us at our meeting on Thursday, May 10th to learn more about the Cups event and how to get involved! All meetings take place at Liberty Law, 128 N. 5th Street, Reading PA and begin at 4:30 pm. All are invited to join us! Bring a friend!